Description: Tree to 25 m tall. Habitat Six species most commonly found in mesic to wet forests. 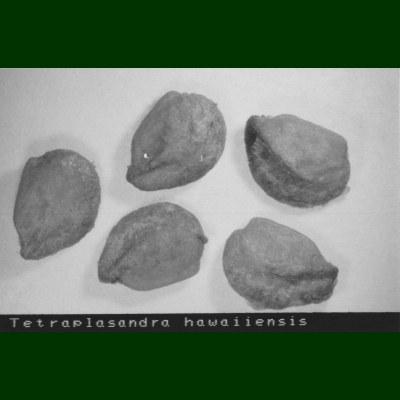 T. hawaiensis (150–800 m), T. kaviensis (650–1600m), and T. oahuensis (240–1520m) on many islands; T. gymno carpa (O‘ahu) and T. waialeale & T. waimea (Kaua‘i) restricted to single islands (Wagner et al. 1990:232–237). 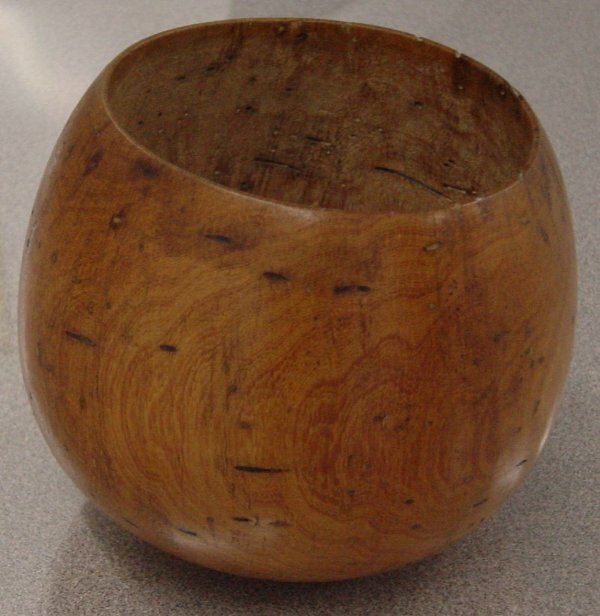 Non Medicinal Uses: In the Ethnology Collection at Bishop Museum there is a post-contact example of the wood made into a bowl. `Ōlelo Noeau: [I] He iki nioi no Paka‘alana. A small nioi of Paka‘alana. A small but very powerful person. 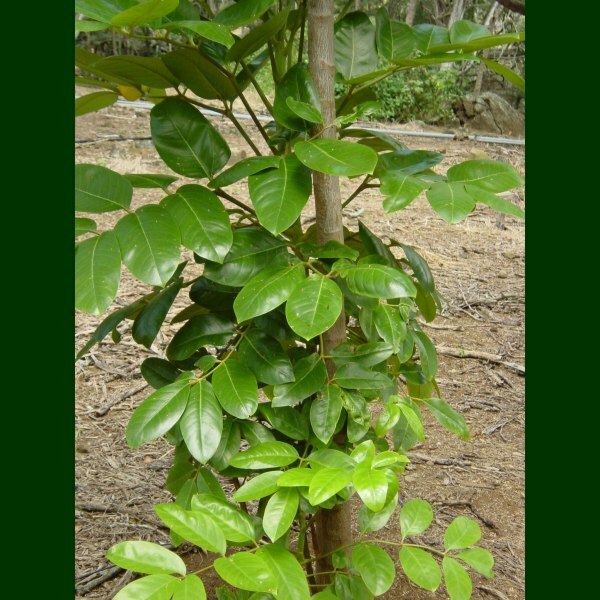 The nioi, the ‘ohe, and the kauila were kinds of trees entered by the poison gods Kaneikaulana‘ula and Kahuilaokalani, and Kapo, a goddess, at Maunaloa, Moloka‘i. The trees were later cut down and made into images. [II] Ka nioi wela o Paka‘alana. The burning nioi of Paka‘alana. Refers to the heiau of Paka‘alana in Waipi‘o, Hawai‘i. The timber used about the doorway was of pioi wood. According to ancient legend, the nioi, ‘ohe, and kauila trees of Moloka‘i are said to be possessed by poison gods and are regarded as having mana. To tamper with the trees or the wood, especially in places of worship, is to invite serious trouble. 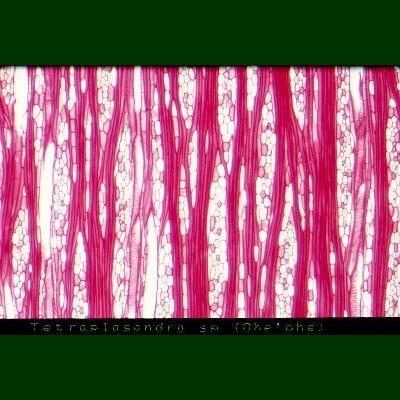 Cross Section: Field of view: 2.6 mm x 1.6 mm. Photograph: H.Lennstrom. 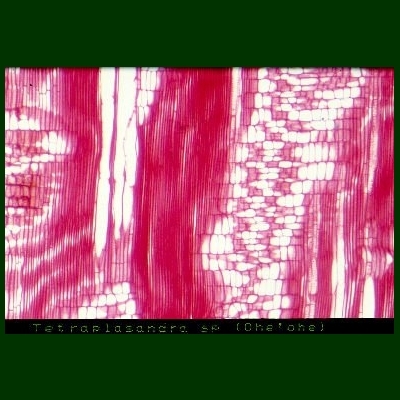 Species: Tetraplasandra sp. Radial Section: Field of view: 2.6 mm x 1.6 mm. Photograph: H.Lennstrom. Species: Tetraplasandra sp. 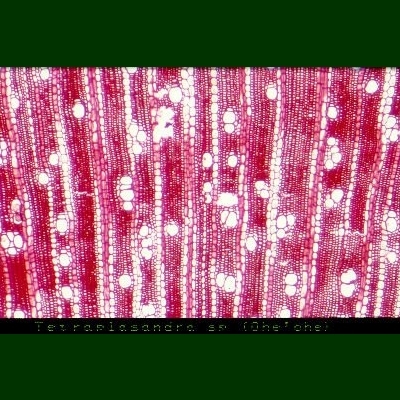 Tangential Section: Field of view: 2.6 mm x 1.6 mm. Photo by H.Lennstrom. Species: Tetraplasandra sp.